The HTC EVO 4G is a pretty cool looking phone. HTC EVO is a decent sized phone. To put it into perspective here is the phone next to a credit card. The phone’s colors can be changed by buying it either in one of the colors offered or by buying a “skin” for the EVO. The EVO fits pretty nice into my hands, I have probably average hands although at times the side of my hands press random items and makes my phone seem like it is wigging out, which is just mainly due to my lack of attentiveness and is easily remedied by paying a bit more attention to how I hold it. The screen is amazing, I love the touch screen with the “flick” and “pinch” type technology. It is so easy to run and navigate through. It does get smudges depending on what is on your hands, but they are usually easily cleaned by a cleaning solution or just putting the phone into Stand-By and wiping it down with your shirt. I do not know how it works with the screen protectors as I did not buy any, but that may help with the smudges and preserve your screen. The 4 buttons at the bottom of the phone help the navigation and make it easy to get back to “Home” or find extra options for certain applications. All in all the EVO looks awesome and the EVO feels great in my hands. HTC EVO has a superb interface, granted I have never used it’s competitor the iPhone, but from what I can tell this interface is just great. Once you get the hang of it everything kind of just flows together and is pretty smooth and fluent motions. The “Home Screen”, which has 6 screens around it when zoomed out, is fully customizable with Widgets. For instance, my home screen has 3 rows of applications with the top row being the Clock and Weather. I have not messed around with designing / rearranging it to be much different, but I will eventually get around to finding more widgets and implementing them. For now, I like how I have my HTC EVO setup. Since the HTC EVO is ran off of the Android technology this allows for ample applications (both free and paid). So far I have found just about an application for all of my needs, such as a Craigslist App a GPS Mapping App a Ping.FM Posting App and an IRSSI + SSH Connection App so I can login to my SSH server and do IRC Chat from there! Not to mention it has awesome Speech to Text technology built in. If you talk clearly into the phone when this is activated, it does a really accurate translation, I was very impressed by the Speech to Text technology. The wide variety of applications that are offered for the HTC EVO, plus the fact that anyone can pretty much develop the Apps, just makes the EVO superb in that all you have to do is learn how to and boom, you can generate your own App! I am no expert on Phones or phone hardware. Perhaps the biggest downside of the HTC EVO is the battery life right now. Since the screen is so big and with the 4G connection plus Bluetooth, GPS and WiFi / WiFi Tethering (requires a $30 / month charge) Capabilities, well they tend to drain the battery pretty fast. After probably a good 2-3 hours of “normal” usage (without talking on the phone) the HTC EVO tends to drop to half the battery. This is with WiFi enabled, WiFi tethering disabled, 4G disabled (no 4G in my area yet) and BlueTooth disabled. Just normal usage tends to drain the battery pretty good, luckily I have a USB car charger from a previous item I bought and I can just swap out the USB cord. Since it did come with 1 USB Cord and the HTC EVO can be charged by computer / laptop that is my main source. If I am just at my laptop typing, like I am now, I tend to have my HTC EVO connected up and charging, this may be overkill, but I would rather have it charged incase something comes up unexpectedly. 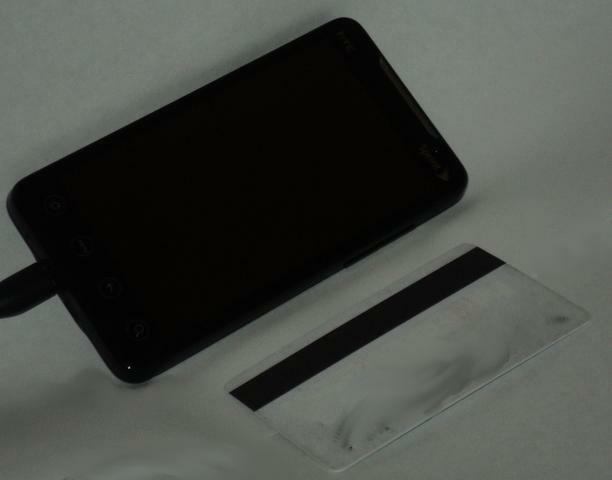 The HTC EVO comes with an 8GB MicroSD Card, it is not the biggest but works for an out of the box card. You can buy multiple 16GB Cards for around $30/card or go for the big boy 32GB MicroSD card, which will run you at $100+ right now. This brings me to my first pet-peeve about the HTC EVO. In order to switch out SD Cards you have to pull the battery out. This can be an annoyance, say you want to have a card with just your music on it and a card for just normal use, well you have to turn off the phone, pull the battery pull out the card put the new one in put the battery back in and wait for the HTC EVO to boot up (around a minute). I love having the GPS ability of my HTC EVO, this will allow me to go hike trails and map where I have been or even drive to a location and generate a map / GPS data with way points. This is huge for me as this way I will not have to buy a “GPS” tracker separate, this is all done on my phone, not to mention that there is probably a TOM TOM type App, which I have not looked into / tried yet. With the GPS enabled, you can easily post where your current location is at and the Google Maps app auto detects your location and will pull up the map to where you are now. If you are not one who likes GPS, this is easily turned off (I tend to leave mine off unless I am going somewhere I want to track). But none the less is an awesome feature. The bluetooth chip works as normal. I have not had any issues pairing the EVO with any headset yet and the sound quality is decent, although it could be a bit louder, which is another pet peeve about the EVO. The sound seems to be really soft when listening to media / using the speaker phone. I am pretty sure this is a hardware issue. But if you plan on listening to the EVO on Air planes, it maybe wise to buy those fancy headsets that does the noise canceling, as I cannot see being able to hear the tunes very well without some of those (given the max volume). But again, this issue is easy to work with and I may be missing a setting to turn up the main volume of the phone (I need to investigate that). But given that the HTC EVO is in it’s early stages perhaps updates will alleviate the sound issue or maybe there is an App that can override the sound and boost it. All in all the hardware seems to be very sturdy and built / thought out very well, at least in my opinion. There are some minor items I wish to address here as a buyer information. The HTC EVO has a special USB Cable needed, these cables are cheaply bought on Ebay (around $5). I plan on getting an extra cable to keep one at work, maybe one for the car and home. The sound on the EVO, as stated above, is not the best (The phone call quality is good, just the media / speaker phone sound). I wish it could go a bit louder and easier to hear. The SD Card being under the battery is another minor issue in that it is a pain to switch out cards, given that the 32GB MicroSD Cards are so expensive. The battery life, which is known, could have a better life, this may be alleviated later on with a better battery that can be purchased, I am hoping for that and will probably by the replaceable battery with extended life when it comes out. But aside from the Cons the EVO has many Pros, which definitely out way the cons, such as the numerous number of Apps that are Free and work decent, it’s flawless integration with Google Technology, such as Gtalk, Gmail, Gcal, Gvoice and other google services. And since it is Google Technology, you can rest assured that it will stay above and beyond the curve of technology in general, such as with the Speech to Text. 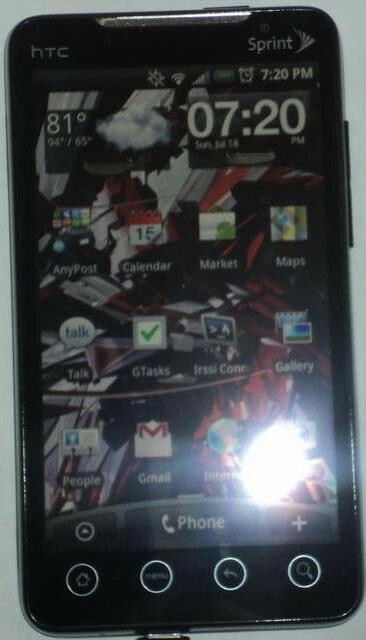 Well I am very pleased with the HTC EVO 4G from Sprint. It is exactly what I wanted in a smart phone and more, in fact the HTC EVO is exactly what I have been looking for since the early 2000’s when Palms / Windows Mobile were coming out. The HTC EVO’s ability to Sync with Google Calendars flawlessly, integrate Google Voice, so your number always shows up from Google Voice and it’s software seriously sets the HTC EVO above anything I have used before (which as stated wasn’t anything recent). The main thing that I like about the HTC EVO is Android backed software. If you are thinking about buying the HTC EVO I would highly recommend it, I have not regretted my purchase yet. They are on the market right now. 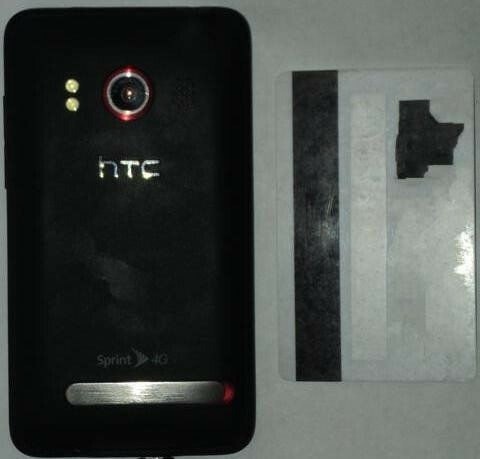 As far as I know the HTC EVO is the first 4g phone and only available from Sprint. I love my Evo, especially the large display screen and 4G network speeds. This device is perfect for watching live and recorded TV wherever I go using the Sling adapter from DISH Network. I actually work at DISH and Sling adapter lets me watch TV wherever I have 3G coverage or WiFi. So with the kickstand on the back of the Evo, you know it makes watching my favorite shows so much more relaxing.